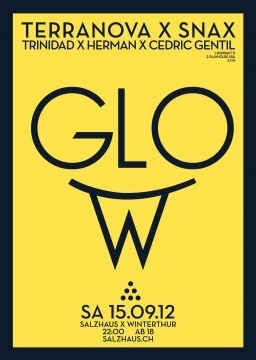 This Saturday the 15th, Snax joins Terranova and Trinidad for the GLOW party at Salzhaus in lovely downtown Zurich. Be there! Hey man i never heard about you before but that was awesome stuff yesterday at GLOW! Thats how we rollin these days!!! thanks very much and greetings from Switzerland!